Whenever a new exhibition opens, we rush to pay it a visit before it’s gone. In the process, we tend to overlook the less-fleeting galleries. 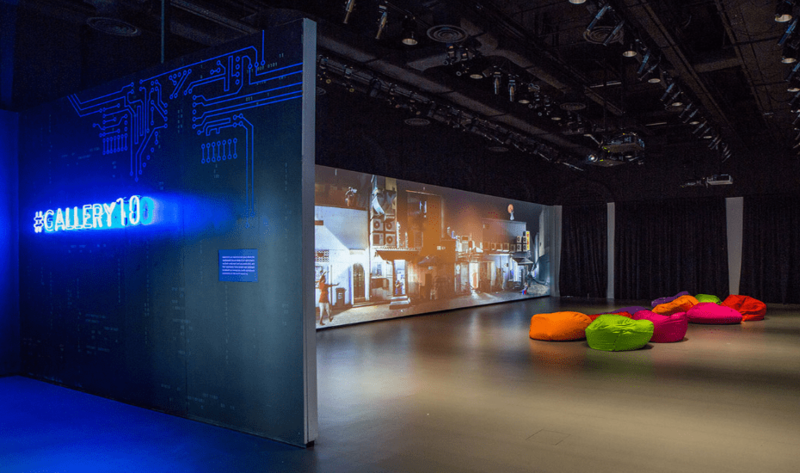 It’s time to show these permanent art exhibitions in Singapore some love, so we’re spotlighting our favourites that you need to check out. Be sure to add them to your art exhibition bucket list! 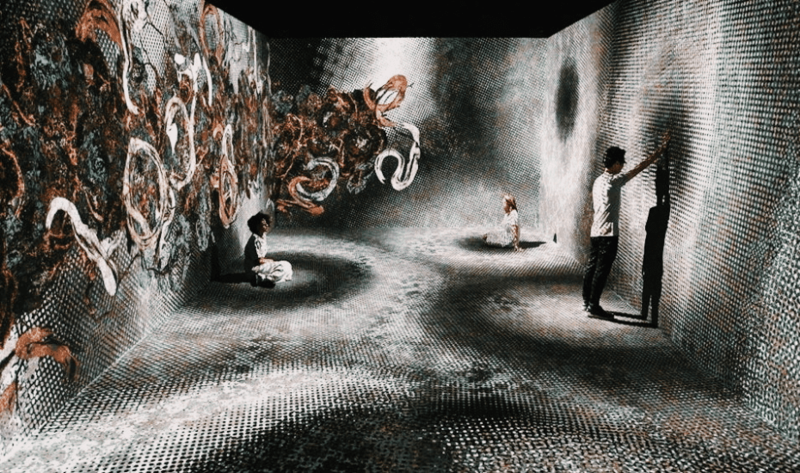 This futuristic exhibition recently got an upgrade, and we’re guessing that it will continue to draw throngs of people seeking that perfect Instagram shot, particularly in the dazzling Space gallery. There’s more to see though. Our favourite part has got to be the gorgeous waterfall at the Nature exhibit, created from light that acts just like water. Say what? Give it a flick with your hand and you’ll see what we mean. We’re not sure how it works either, but it sure is magical! And in the Sanctuary, blooming and scattering cherry blossoms invites you to ponder your own mortality. Memento mori, as they say. There’s something about watching dancers across various cultures glide through the charming back lanes of Kampong Glam, Little India and Chinatown. This video installation by multidisciplinary artist Sarah Choo Jing lets us peek inside the completely intense training and rehearsals rather than a perfectly orchestrated show. Grab a bean bag and enjoy – it’s just like watching behind-the-scenes footage of a movie. Design aficionado, are we? 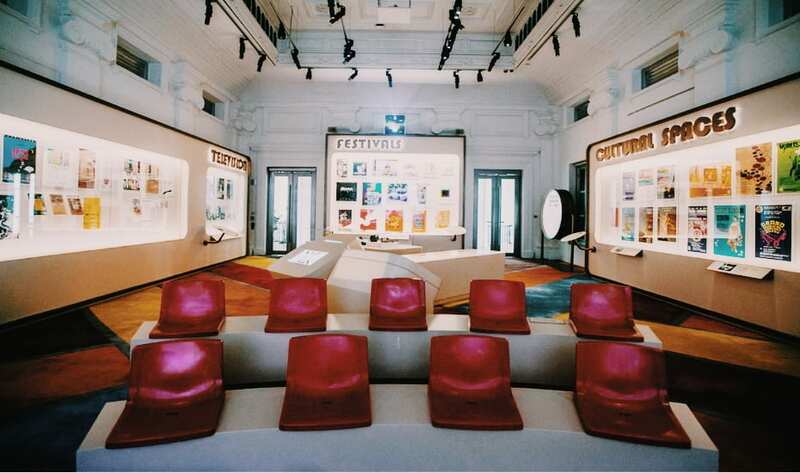 Well, it’s imperative that you caught the collection displayed at Red Dot Design Museum along the Waterfront Promenade. Displayed elegantly are only the best of the best: Every product has been awarded the coveted internationally acclaimed Red Dot Award for Product Design. It’s the only place shines a deserving light on the best of contemporary product design. 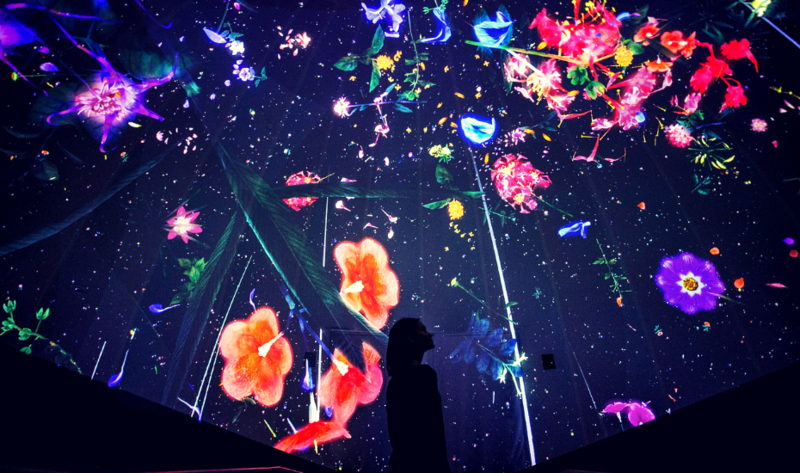 Oh, teamLab! 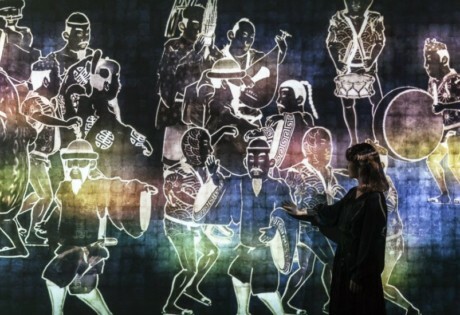 Our absolute fave digital art collective has put together a stunning piece of art that’s permanently housed in the National Museum of Singapore. The 19th-century drawings of the Malay Peninsula’s biodiversity – commissioned by William Farquhar – are brought to life in the glass rotunda. Be engulfed by a kaleidoscope of colours as flowers bloom overhead and a gorgeous purple rainforest towers over you. Get your cameras ready as you inch closer to the screen; more flora and fauna or even a cute deer might pop up! This one’s massive. You’ll spend a whole afternoon stroll around ACM’s three thematic levels. The permanent collection includes artefacts that span over five thousand years of recorded Asian history. Witness over 1000 pieces of ceramics, gold, and silver a ninth-century shipwreck on the Trade themed level one, sculptures and ritualistic objects on the Faith & Belief space on level two and appreciate textile traditions and ceramics from across the land on level three. We appreciate how the National Gallery styled the gallery after a drive-through cinema. With vintage artefacts and a showreel that takes you back to the 70s and 80s, this exhibition explores the forms of artistic expression and leisure that shaped the community. Peek inside the lives of locals from the bygone era through exploring the popular music, theatre and performances of the time. This offers a different perspective to textbook tales of how war and hardship forge national identity; because hey, people bond over fun too. Yes, we’re classifying toys as art. If you fancy taking a trip down the memory lane, the Mint Museum of Toys is the place for you. 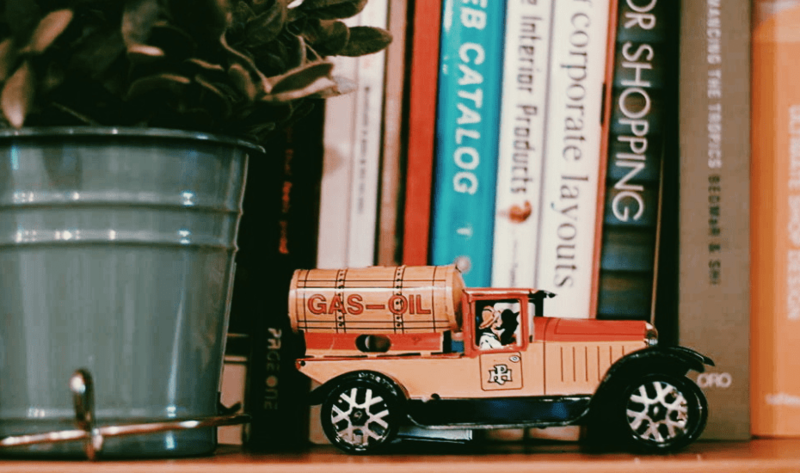 You’ll find everything from way back when here –the iconic Campbell Soup enamel signs, vintage collectible cars, Betty Boop dolls, Steiff teddy bears, 60s Beatles memorabilia and much more. All in mint condition, of course! Update: Both SAM buildings are closed for redevelopment. But there’s a sweet SAM mini mobile museums doing the rounds across Tampines, Woodlands and Jurong libraries from 3 April to 4 August. SAM has been busy collecting. It’s home to an eclectic array of contemporary creations by artists from around the region. 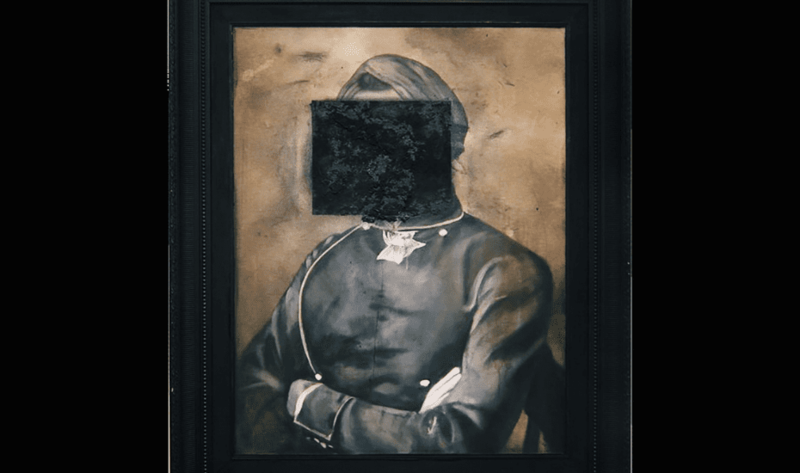 Sometimes, the best way to make a statement on culture, politics or history is through art. From faceless and truncated portraits by local painter Fyerool Darma (pictured top) to Vietnamese artist Dinh Q Le’s giant scrolls that appear to tread the line between painting and sculpture, these works are aesthetically intriguing and thought-provoking at the same time.